The Two Lens Kit includes two matched lenses to help you cover all the angles. The AF-P DX NIKKOR 18-55mm f/3.5-5.6G VR lens is great for portraits, landscapes, videos and other wide perspective shots. The AF-P DX NIKKOR 70-300mm f/4.5-6.3G ED is a versatile telephoto zoom lens that's great for sports, concerts, nature and more. 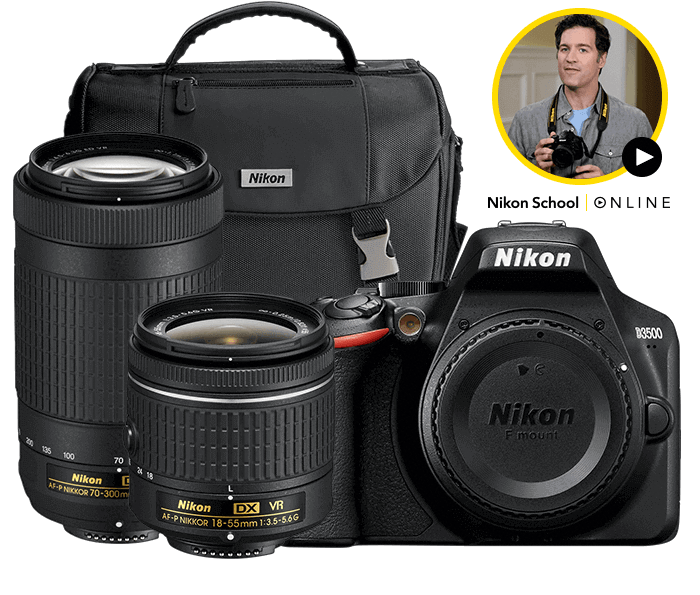 Includes a free Nikon Camera Bag and Nikon School Online class ($70 Value).